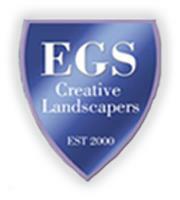 E.G.S Landscapes and Tree Surgery - Landscaper , Tree Surgeon based in Felton, Northumberland. Essential Garden Services or (E.G.S) was founded by Kevin Nichol at the turn of the Millennium year 2000. After a wealth of previous hard/soft landscaping and pond building experience I decided the time was right to offer my active services as a business. 15 years on we have established into a family run business, with Brent Nichol taking care of the tree surgery and maintenance side. We now cater for a wide range of landscaping and maintenance duties. We carefully listen to our clients and tailor our services accordingly. Priding ourselves on our high standard of work we are able to retain a large clientele.